By Daniel Muñoz Pozo, Head of Communications & Media at Sánchez-Casal Academy. After a decade as a student-athlete at Sanchez-Casal, Laura López will finally realize her dream of going to Boston College. A few years ago we held an Alumni dinner at the Sánchez-Casal Academy headquarters in Barcelona, where past student-athletes returned and shared with us their stories of the paths they have followed, the dreams they have realized, and the experiences they have lived since leaving Sanchez-Casal. In a few months, Laura López, who started tennis training in the after-school program ten years ago, will achieve her dream of attending Boston College to play college level tennis while working towards a university degree. Laura will then become another ASC and ESIS alumni, stepping forth on the long and bright road ahead of her, to gain experience on another continent. Most importantly, she will take with her a special love of tennis and the wealth of all of her personal experiences that stem from being a part of the great family which is Sánchez-Casal. We had time to talk to her and hear her story; a story that she is happy to share with our current student-athletes, and anyone out there who might have the same dreams, fears, hopes, and worries that she had before coming to the Academy. Laura’s story is a testimony to how the experience of combining tennis and studies together in one location offers a unique advantage to those looking towards University. “When I came here for the first time, my dream was to be a professional tennis player, because I knew of successes like that of Sveta Kuznetsova, Andy Murray, and Grigor Dimitrov, and I knew that this was the ideal place to be. As the time passed, I realized that the academy opens you up in a lot of ways, they prepare you physically, mentally, and also through school – you receive a great all-round education here”, affirms Laura. The young tennis player had to overcome a significant personal loss during her stay at the Academy. Nonetheless, Laura knew how to draw strength from the best of herself, and was able to use her resilience to deal with her grief and also overcome adversity. Accompanied by the four pillars of tennis: tactical, technical, physical and mental, Laura exceeded expectations on the tennis court and in school. “There are 4 fundamental pillars of tennis, and I have always been guided in them by great staff both in tennis and school. The tutors have always taken care of me and supported me. They have always known how to motivate me, and that especially has helped me to achieve my goals”, adds Laura. It has been a decade long journey for Laura, who arrived at Sánchez-Casal as a young girl, later clinching the U12 Cataluña Title, and also acquiring experience in the Marca Tennis Circuit, Tennis Europe, and others. She affirms that: “it has been a great experience to be in an international environment, living with people from around the world, and I am going to remember everything, not just some specific moments, but the whole experience”. Laura is, to her own merit, a strong ambassador of the Academy Sánchez-Casal and a model of the Sánchez-Casal identity, for three simple reasons: her capacity for respect, effort, and discipline. Head of Communications & Media at Sánchez-Casal Academy. 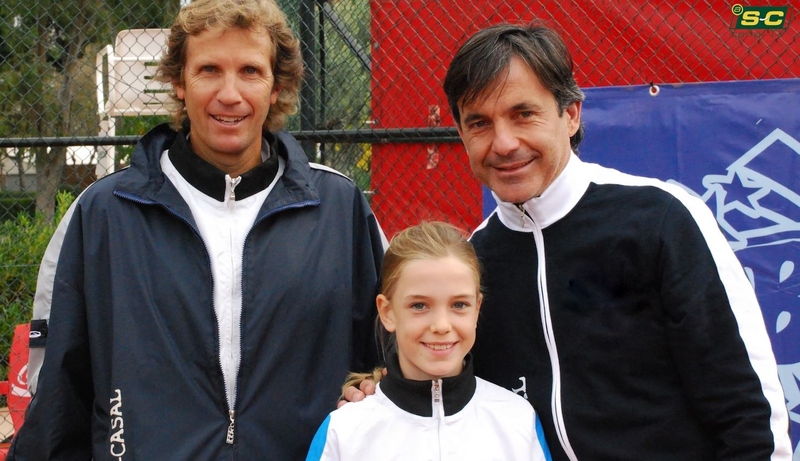 This entry was posted in Education and tagged Academics, College Placement, Emilio Sanchez, High-School, Sánchez-Casal Academy, Sánchez-Casal Alumni, Sánchez-Casal stories, scholarships, School, Studies, tennis academy, Tennis players, University, US tennis. Bookmark the permalink.